How can I get my ETA to Canada ? Home > Formalities > How can I get my ETA? In a few days, weeks or months, you are going to fly to the land of the caribous. But like every country in the world, there are some formalities that you have to complete before landing to the Canada. 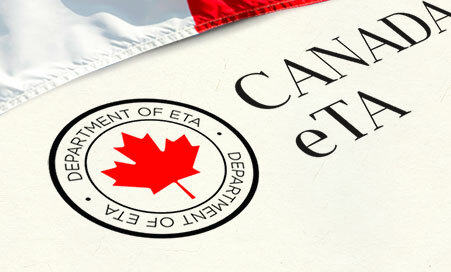 The ETA or Electronic Travel Authorization is part of it and you must own it before your trip. The ETA would in no way be a brake for your trip because getting it is as easy as saying “Hi”. Indeed, your request can be done online. You can receive your answer within a minute by checking your mailbox. The latter is available only in French and English. Non-native French and English citizens don’t have to be worry: to avoid incorrect information, field descriptions are now translated into eleven languages such as Spanish, Japanese, Portuguese, and Italian. To carry out the application, you must first have your passport. Use a valid e-mail address, as communication is by e-mail only. You can then download the form. Please, note that an application form is made for a person. For a family vacation or a couple, each person must fill one. However, a representative can apply for an ETA on a behalf of someone else. A representative is a person who has the permission of someone wanting to travel or immigrate to Canada to conduct business with Immigration, Refugees and Citizenship Canada (IRCC) on their behalf. The representative can be paid or unpaid and also constitutes parents or guardians applying on behalf of a child. Immediately after the form has been completed, you must immediately pay the processing fee. Of course, payment is made online with a credit card such as American Express, MasterCard, Visa card or JCB card. Once all these procedures are completed, you will only have to wait for the answer. The only matter in this process is that sometimes you will need to submit other documents for your application to be accepted. In this case, the team will inform you of the process to be followed no later than 3 days after your request. Once you have your electronic travel authorization, you are free to travel freely on Canadian territory. Have a nice trip!